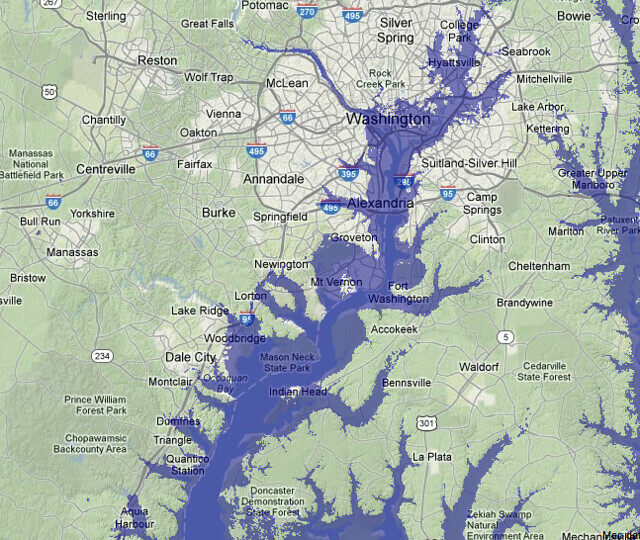 30 meters of sea level rise would wipe out most of the L’Enfant City, put the White House underwater, and leave the Capitol on a little island — but it could still be managed by damming the Potomac River at key locations, like Quantico or Mason Neck. The same can’t be said for Philadelphia, where the Delaware has a very broad valley, or even New York, where dams at Verrazano Narrows and Arthur Kill will have to be supplemented by very extensive construction to block Long Island Sound. Boston either becomes an archipelago or a polder at a mere 7m of SLR. Even Montreal faces serious property loss over 20m; at 30m Beijing becomes coastal and tides could reach Lake Champlain and the Caspian sea. Much more than 30m, like the 60m these guys have in mind, and most everything on the east coast below the fall line would be gone. Even dams at the Golden Gate and St. John’s would no longer protect San Francisco or Portland. That’s when inland real estate might become rather more valuable. Surprisingly, my river-view apartment should be okay up to +10m or so even without a downstream barrier. This entry was posted in ecology & energy & climate, megalopolis. Bookmark the permalink. Well, provided I can live off the grid (the power and plumbing’s in the basement), my apartment’s dry up to 60′ or so. 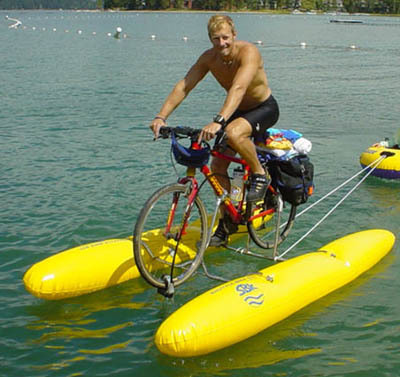 Might make docking this thing a little more convenient.